Free Tix to "Capitalism: A Love Story"
Michael Moore will be in Silver Spring Monday for a free preview of his latest film, "Capitalism: A Love Story." What price are we paying for our love of capitalism? 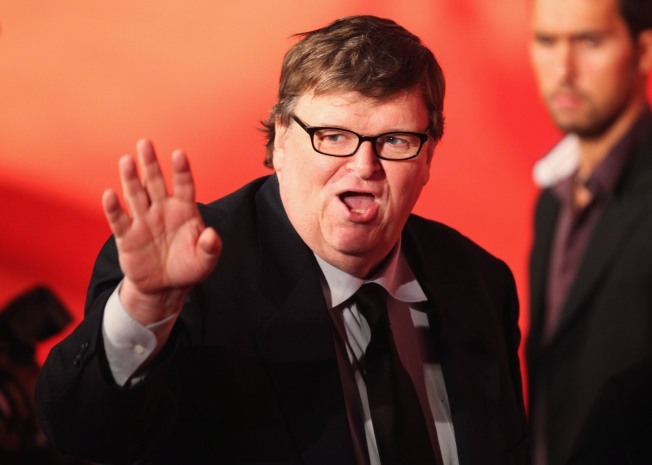 Michael Moore will tell you in his latest film, "Capitalism: A Love Story." And if you want to see it for free, book on over to the AFI box office in Silver Spring, Md., Monday. The film's official D.C. premiere happens on Tuesday, Sept. 29, with a red carpet event at the Uptown, but the AFI announced that the DC Labor FilmFest would be presenting a free preview tomorrow, with Moore in attendance, DCist reports. The film’s first U.S. screening was last week at the AFL-CIO Convention in Pittsburgh, PA. As DCist notes, the film met with warm receptions at the Cannes and Venice film festivals, winning the Little Golden Lion Award at the latter, but has received slightly more mixed reviews on this side of the ocean. "Capitalism: A Love Story" opens nationwide in U.S. theaters on October 2.